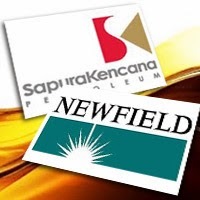 SapuraKencana Petroleum Bhd beat several other bidders including international oil companies to win the rights to buy Newfield International Holding Inc’s Malaysian oil and gas assets for a whopping US$898mil (RM2.85bil). It beat players like Exxon Mobil Corp, Royal Dutch Shell plc, Talisman Energy Inc and Kuwait Foreign Petroleum Exploration Co that had also put in their bids in the second round bids on Sept 26. “This acquisition will further strengthen and diversify SapuraKencana group’s business portfolio and enable SapuraKencana to gain an immediate foothold and recognition as an upstream resource owner and operator,” said SapuraKencana president and group chief executive officer Tan Sri Shahril Shamsuddin. Yesterday, SapuraKencana told Bursa Malaysia that it had entered into a conditional sale and purchase agreement with US-based Newfield International Holdings Inc to buy its Malaysian oil and gas assets. SapuraKencana said the deal would involve the company acquiring the entire stake in Newfield Malaysia Holding Inc. The agreement is subject to the approval of national oil company Petroliam Nasional Bhd under the applicable production sharing contracts (PSC), SapuraKencana’s shareholders and other customary closing conditions. “The profitable Newfield Malaysia business has an excellent HSE (health, safety and environmental) and operational track record backed by a strong execution team and cash-generating assets (about 23,000 barrels per day net production in 2012),” added Shahril. SapuraKencana said it would finance the acquisition via a combination of internally generated funds and external bank borrowing. In Malaysia, Newfield’s subsidiaries have interest in nine PSC blocks, spread between the Peninsular Malaysia’s oil producing region and the gas producing regions of Sabah and Sarawak. Its total Malaysian portfolio comprises 3.3 million net acres. “In essence, we are acquiring a proven oil and gas operator with a balanced portfolio of producing and discovered fields and exploration assets in Peninsular Malaysia, Sabah and Sarawak. “As a field owner and operator, this business will require different set of operating principles and as such we will manage this new business division separately as an independent subsidiary. “We are confident that we will be able to grow the business further and provide a unique value proposition to our partners,” Shahril explained. Under the proposed transaction, Newfield International would offer preferential rights to its partners to acquire the assets of Newfield Malaysia and its subsidiaries – Newfield Sabah Malaysia Inc, Newfield Peninsular Malaysia Inc and Newfield Sarawak Malaysia Inc. In the event any of the PSC partners exercise their preferential rights for a particular asset, the allocated value for the respective asset would be reduced from the purchase price. SapuraKencana said that barring unforeseen circumstances and subject to all required approvals being obtained, the proposed acquisition was expected to be completed in the first quarter of 2015.